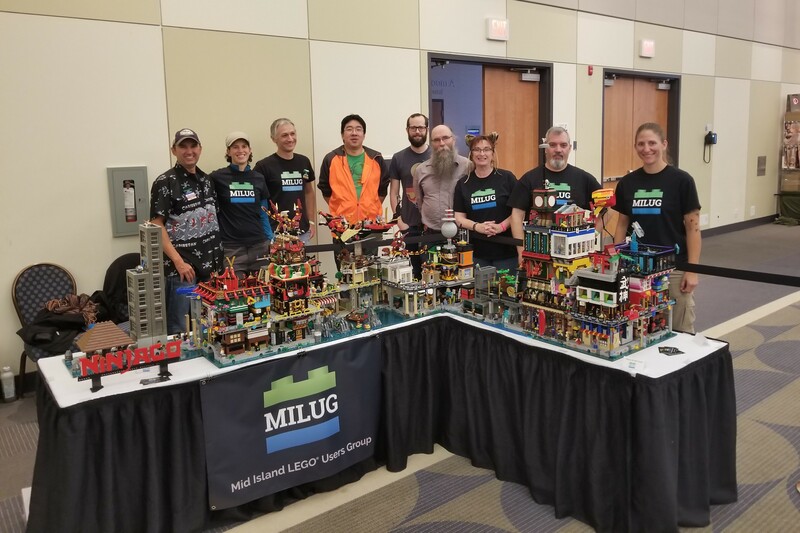 MILUG participated in M-Con, a local gaming and cosplay convention, September 15-16, 2018 at the Vancouver Island Conference Centre. 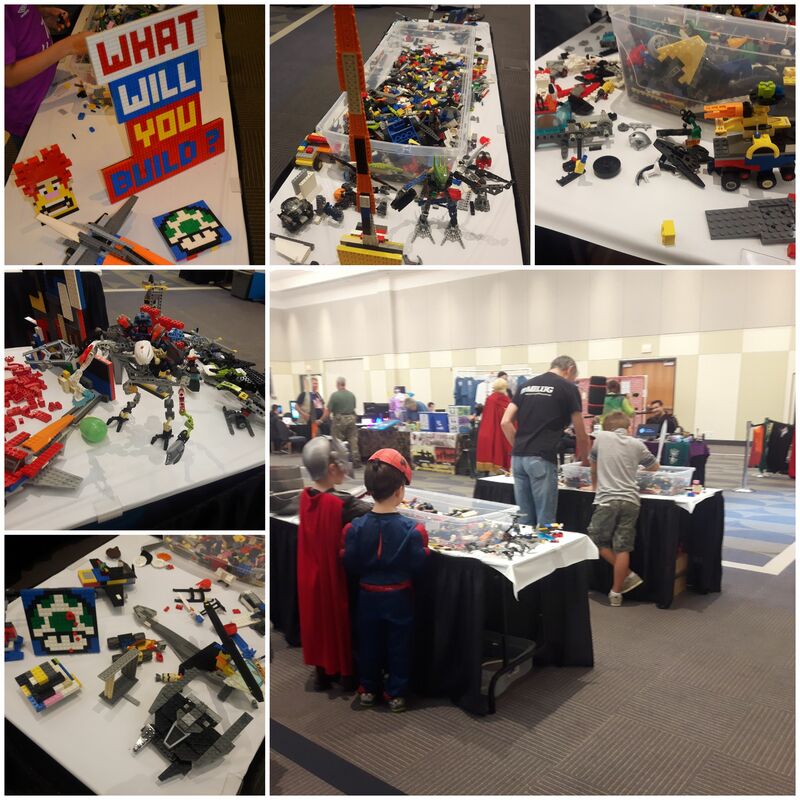 This was MILUG’s third year taking part in this convention that celebrates everything geek culture. This community oriented event donates all proceeds to the Nanaimo Youth Services Association (NYSA). 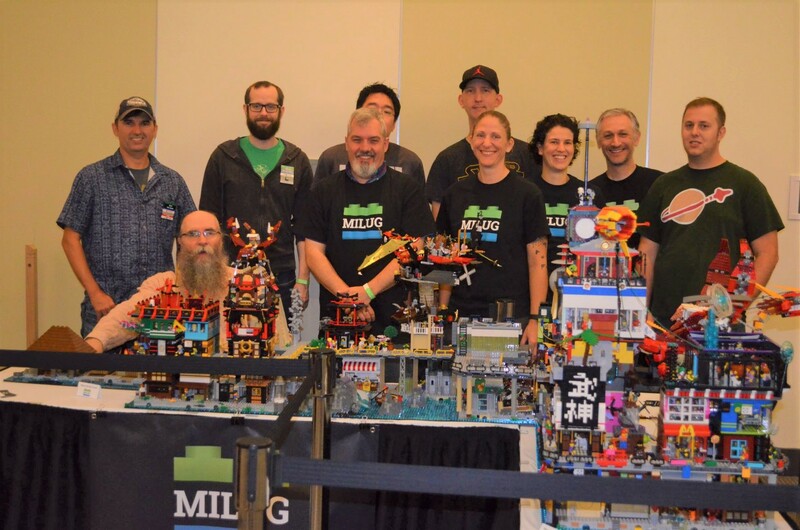 This year 13 MILUG members contributed to our display, a Ninjago® City inspired metropolis, and 12 members volunteered at the event. 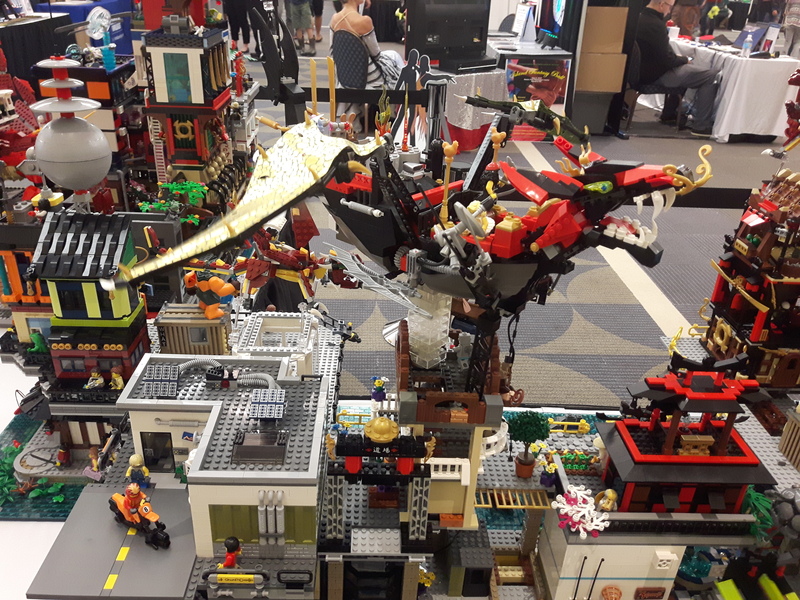 The idea to build a Ninjago® metropolis came from the Brothers Brick collaborative display for BrickCon 2018, which some of our members had planned to attend. 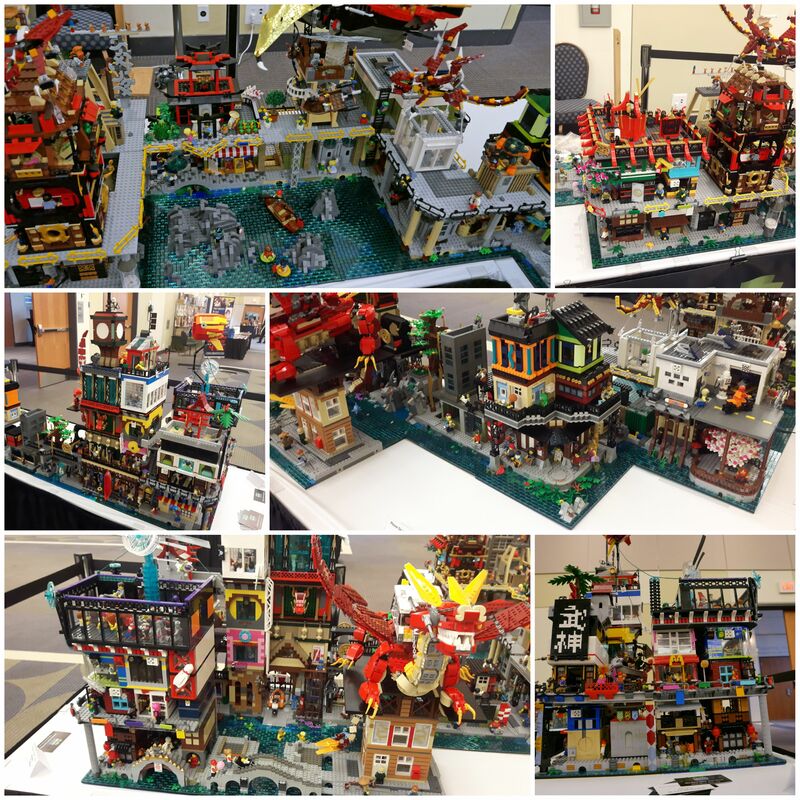 The idea for the display is based on both the LEGO Ninjago Movie™ and the Ninjago® City LEGO® set (70620). The city is tiered beginning with traditional older construction at the bottom level upon which a more modern urban city has been built that is filled with shops and restaurants. The third level was optional and is somewhat more futuristic. The metropolis is built by combining modules built on 32×32 baseplates to represent city blocks. In total our display contained 20 blocks! 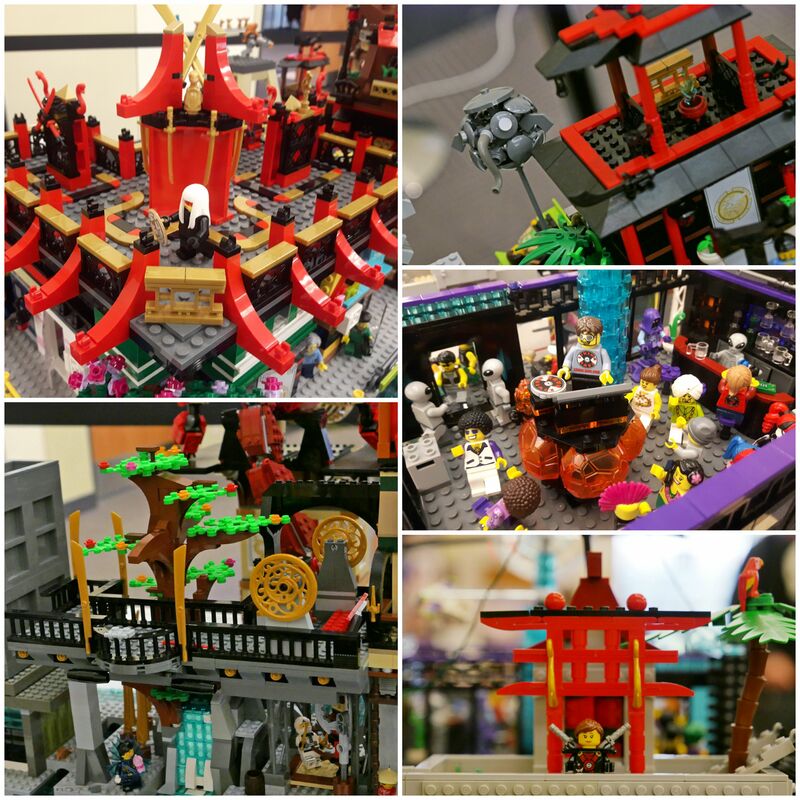 A number of the blocks reached skywards (there seemed to be an unofficial height competition) and all blocks contained an amazing amount of detail and featured Japanese inspired architecture and cherry blossoms. 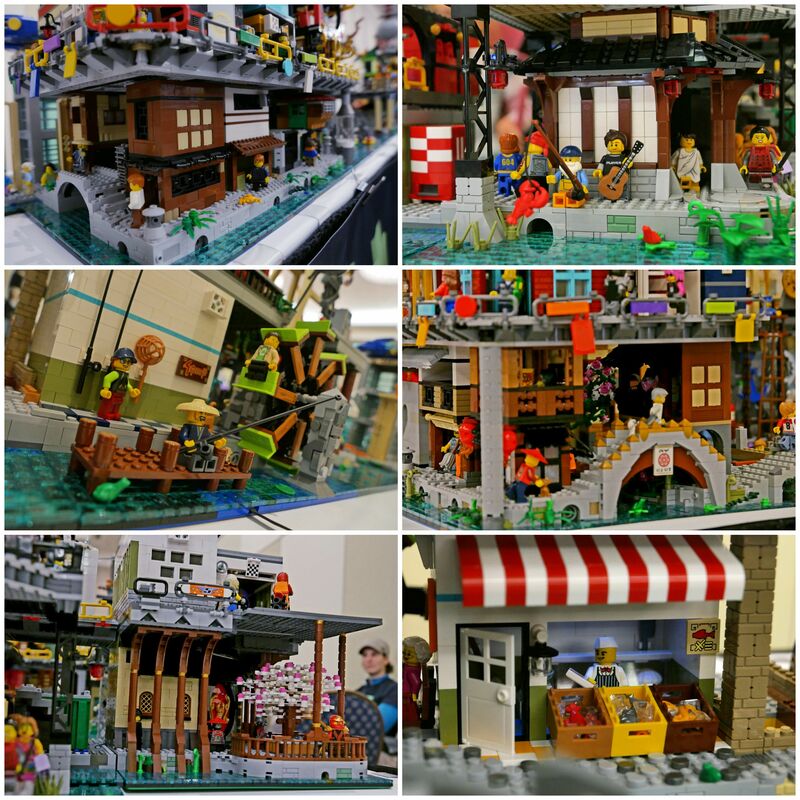 The lower level had fish markets, a laundry hut, bathhouse, boathouse and more. Watch out for the working water wheel! The hustle and bustle of the metropolitan city was thriving on the next level. 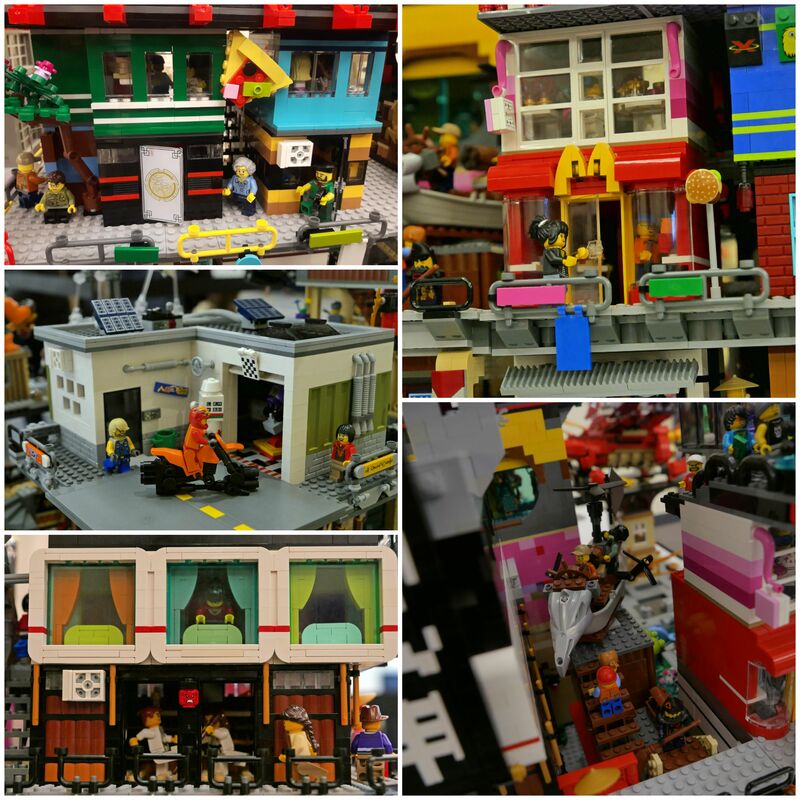 It was filled with a variety of shops and services including a dojang, yoga studio, pod hotel, sushi parlor, pizza shop, arcades, a McDonalds, a guitar shop, and a mechanic shop specializing in flying vehicles. There were even rooftop scenes from a ninja training centre to a dance club to a number of Japanese gardens. 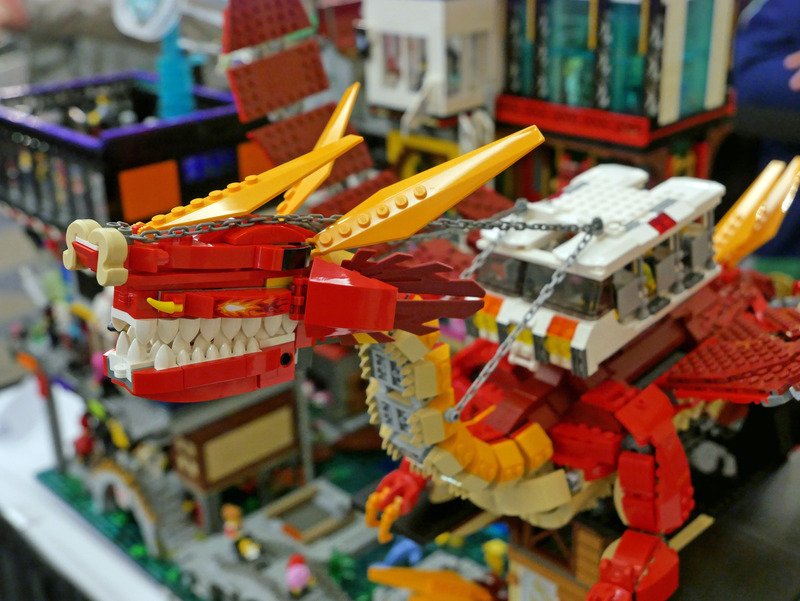 Canals and raised sidewalks connected the modules but if you want to get somewhere fast then the Uber Dragon is the way to go! We always like to incorporate movement and this display included a flying dragon ship and moving waterwheel. In addition to the display we also brought along play brick offering kids of all ages a chance to build their own creations. 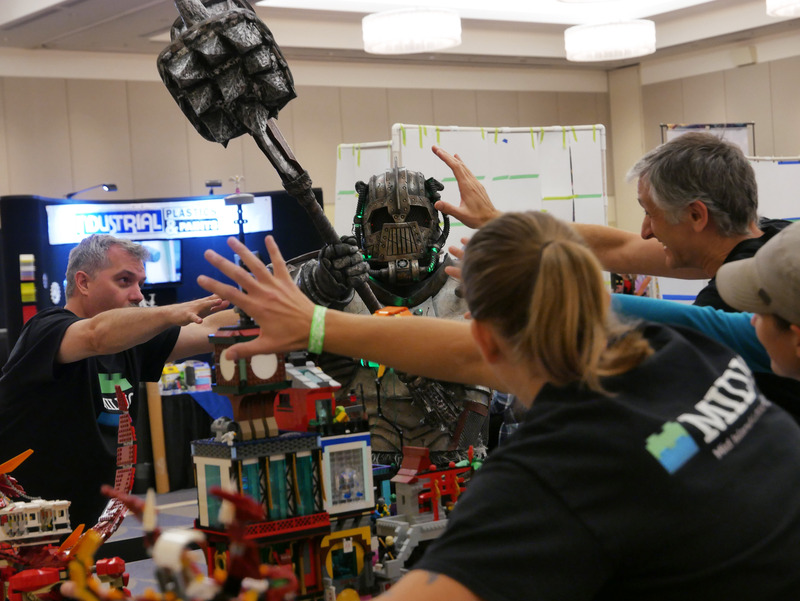 We sure were inspired by some of the awesome builds. Many of our members enjoyed the play brick as well and shared some tips and tricks with the young builders.